It's hard to explain why so many kids fell in love with Cool Runnings. Yes, it's a funny movie with a lot of heart, but it was also a sports comedy about bobsledding at the Winter Olympics. The story of four Jamaican athletes competing in the icy sport was just too outrageous to resist, and today the movie is a cult classic. 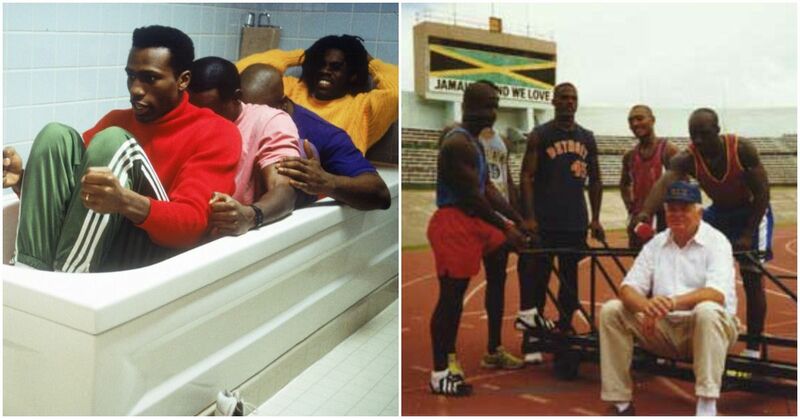 But if you think you learned the real story of Jamaica's groundbreaking bobsled team from the movie, you'd be wrong. As one of the real team members from the 1988 Olympics, Dudley "Tal" Stokes, revealed on Reddit, the classic Disney movie is not exactly a documentary. "It's a feature Disney film," he explains, "not much in it actually happened in real life." For one thing, the team's origin in the movie as a second chance for disqualified track athletes wasn't even close to reality. 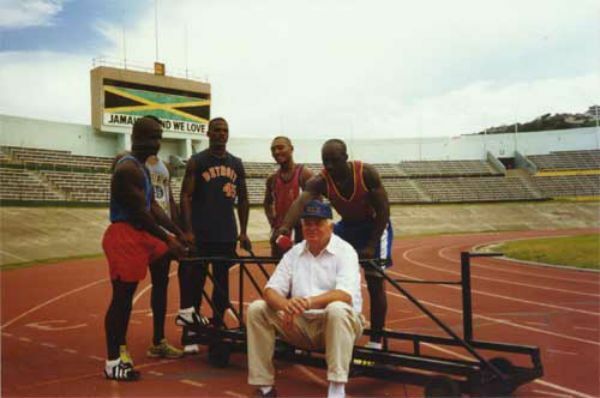 Stokes and his teammates were mainly drafted onto the team from the Jamaican army. 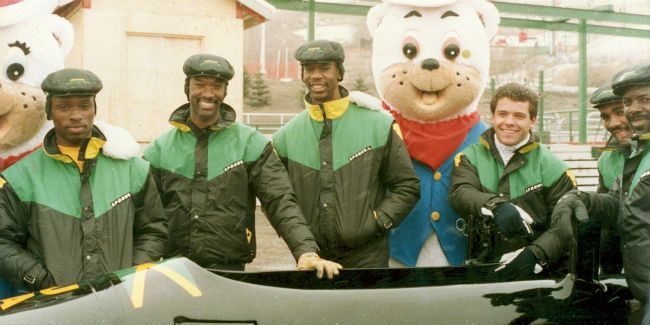 The actual idea for the team came from a pair of American businessmen, who were the ones to make the connection between Jamaican pushcart racing and bobsledding. But when the team arrived in Calgary to compete on the world stage, they didn't get the Hollywood ending they were hoping for. Another big difference between Cool Runnings and the actual bobsled team was the chilly reception we see in the movie. In fact other teams, Olympic officials, and fans were crazy for the Jamaican team, and they were mobbed every time they stepped outside of the Olympic village. Don't picture John Candy guiding the team either. The Jamaicans trained with a real team of international coaches, and spent time in Austria and Lake Placid honing their skills. But they were still adjusting to the sport (and the cold temperatures) when they arrived in Canada. "I saw a bobsled for the first time in the middle of September ," Stokes remembers. "Walked on ice in October at an ice rink in Lake Placid. Got on a bobsled shortly thereafter and that February, we were in the Olympics." And while the bobsled team's chance at Olympic gold was ended by a crash, it wasn't as glamorous as it seemed on screen. 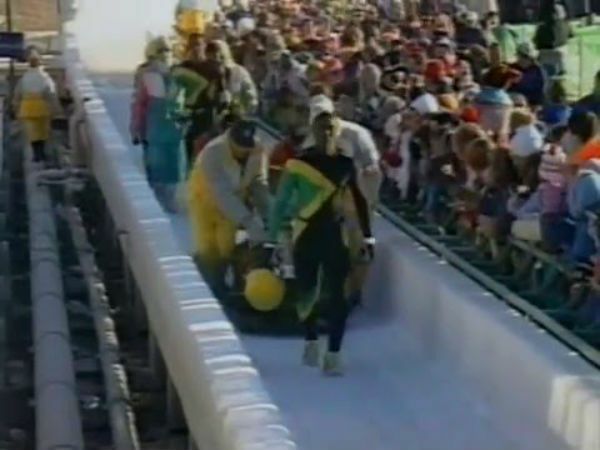 The Jamaicans didn't lift the sled, just walked it down the track like "any team would have done." Despite the differences between fiction and reality, Stokes says the team enjoys the movie, and it has “really served Jamaica bobsled very well" as the team prepares to go for gold in Pyeongchang. And no, sadly, they didn't actually say the "feel the rhythm/ feel the rhyme" chant either. I still love this movie, no matter what!